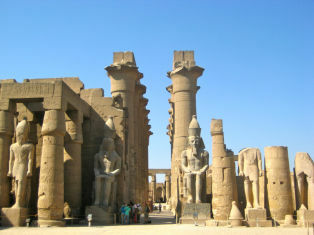 Experience the peace and tranquility in Egypt on this Spiritual Meditation Tour! Get in touch with your innermost feelings as you meditate in the Sunrise at the Great Pyramid in Cairo. 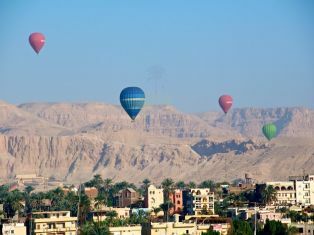 Visit the unique Karnak and Luxor Temples, then relax and feel the worries of every day life drain away as you glide along the magical River Nile on your Cruise. Breakfast and departure from Hotel to start your full day. Visiting the Pyramids of Giza, Sphinx: Listen closely as you awaken and dress for Sunrise at the Giza Plateau. As you come alive, you will no doubt feel the peaceful and timeless energy that these mysterious structures still emit. After a peaceful Sunrise Meditation at the Great Pyramid. Then a visit to the Cairo Egyptian Museum – mummies, mummy casings, hundreds of statues, and the renowned King TUT collection. Afterwards we see Old Cairo. We visit the Ben Ezra Synagogue and two Coptic Churches, one built during the 4th Century and one built over a spot where the Holy Family is said to have rested. We return to the hotel. 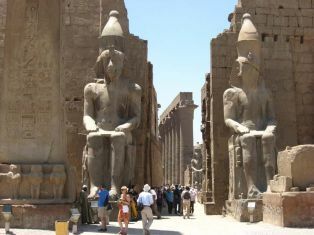 After breakfast, Check-out from the hotel and transfer to the Nile Cruise, after lunch, visit Karnak Temple, dedicated to Amun-Ra, the personification of the hidden and unknown creative power. 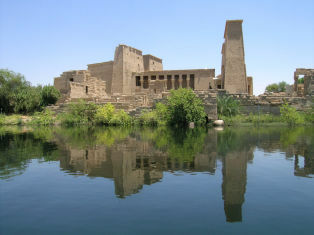 Associated with the use of power, Karnak was the most important place of worship in ancient Egypt. We will walk among papyrus and lotus columns, obelisks and shrines and observe the play of sun and shadow dance across ancient wisdom carved into stone. At the far end we will explore the Sacred Lake, used for initiations and healing by the priests and priestesses. 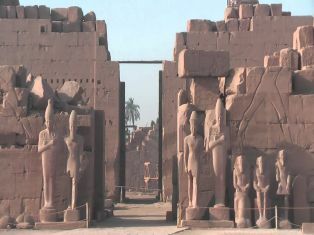 Later, we will take a detour off the beaten track, passing five successive gateways to the sanctuaries of Ptah and Sekhmet. Here is the statue of the lioness goddess Sekhmet. She is the third eye of the Sun God Ra, whose solar eyes symbolizes the one who gained enlightenment through the controlled use of power. Sekhmet is the goddess associated with power, creation, and destruction and healing. The energies here are strong and many spiritual travelers have profound experiences inside this mystical room. We return to our hotel in the afternoon. We arise early to beat the tourist crowds at Luxor Temple. 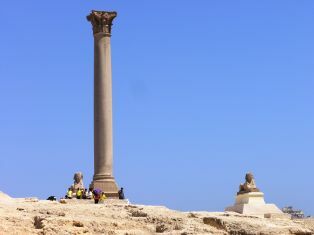 This temple, also termed "Temple of Man", is said to have been built according to the creation of Man and his spiritual development and destiny. Here in the heart of the temple we will dedicate this morning in a meditation for personal and planetary healing, recognizing that our own destiny and strength comes from the same divine power that runs through the veins of all humankind , overnight in Luxor. After breakfast, we cross the Nile River by bus to the West Bank and to the Valley of the Kings and Queens. 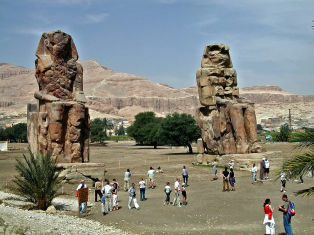 We will visit the fabulous tombs and temples nestled deep in the desert terrain of the valley. At Hatshepsut Temple we explore the sanctuaries dedicated to Hathor and Anubis, deities of the Earth and the spirit realms. At dusk we may yet again be graced by the translucent light of the moon as it rises above the hills surrounding the temple here. We return back to our Cruise ship early evening. 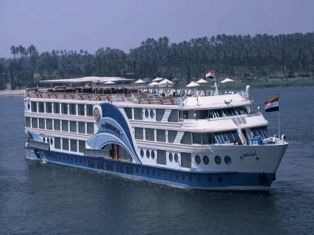 Overnight onboard Nile Cruise. 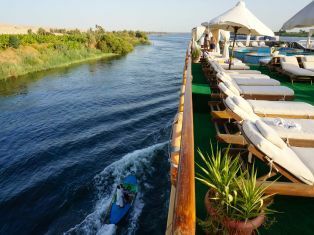 A day to relax and let the timeless scenes along the river drift past as our boat sails slowly up the Nile. We pass through the lock at Esna .It will be a relaxing afternoon of sunbathing, reading and chatting as we watch life along the banks of the Nile. Upon arrival in Edfu we will transfer by horse and carriage to the temple. Here we will unite the male (Horus) and the female energies (Hathor). Dedicated to the Falcon God Horus this temple was occasionally referred to as the "Exaltation of Horus". On the inner face of the east pylon of the temple is a description of the annual Festival of the "Great Reunion". Once a year the Goddess Hathor would travel from Dendera Temple to Edfu to visit her consort/husband Horus. 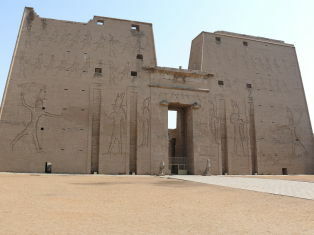 Many of these ceremonies were enacted within the temple walls for the priesthood and their invited guests; while the rest of the people of Edfu had to wait impatiently outside the walls for the beautiful sailing of Hathor.Until then the people only heard vague echoes of singing and dancing coming from within the temple walls. After exploring this lovely temple we return to our Cruise ship and sail to Kom Ombo After dinner we will go up to the top deck for an evening meditation under the stars. The full moon tonight should throw a magical light over the River Nile, a beautiful setting, as we enter into a. overnight: Nile Cruise . 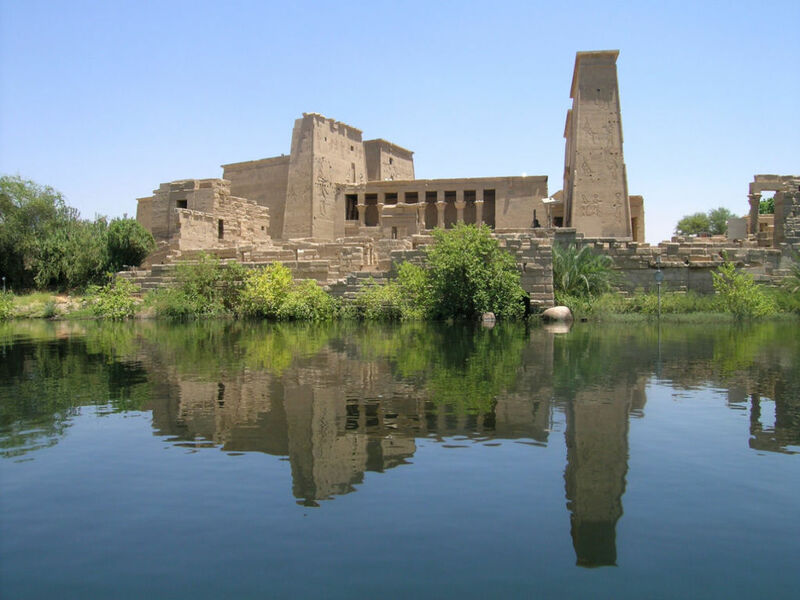 After sailing further south we again disembark at Kom Ombo and visit the Temple of Sobek and Haroeris, a temple associated with healing and sometimes called the Temple of Duality. 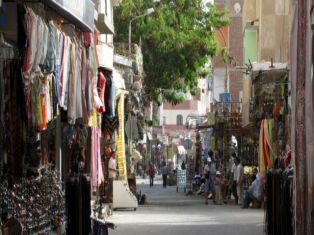 We sail on, arriving to Aswan in the evening, there may be time for some adventures at the colorful bazaar and lovely promenade it is almost everyone's favorite town in Egypt. Dinner and overnight onboard Cruise ship.